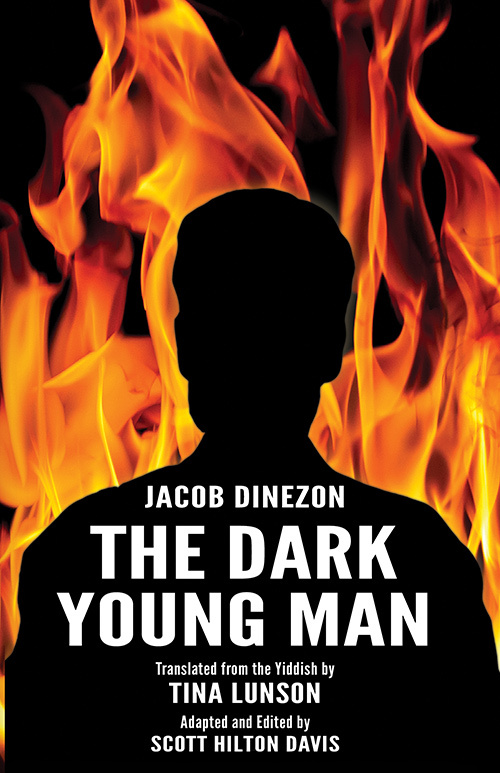 Jacob Dinezon’s The Dark Young Man propels the reader back into the intriguing world of a 19th-century Jewish community in Eastern Europe, including a tragic love story, a thoroughly evil villain, and well-drawn supporting characters. Originally written in Yiddish, the book was a huge success after its publication in 1877, and with this new English translation, the novel should find its way onto the shelves of classic 19th-century literature. Set in a suburb of the Russian city of Mohilev in the 1840s, Jacob Dinezon’s poignant tale delves deeply into the personalities and politics of Jewish middle class society, and describes in vivid detail the growing opposition to arranged marriages, the disparities between rich and poor, and the challenges of assimilation and modernity on traditional Jewish life. A tale of suspense, betrayal, love, and death, Dinezon’s The Dark Young Man is a startling fictional account of mid-nineteenth century Jewish life, culture, and religion by a beloved author and masterful storyteller. 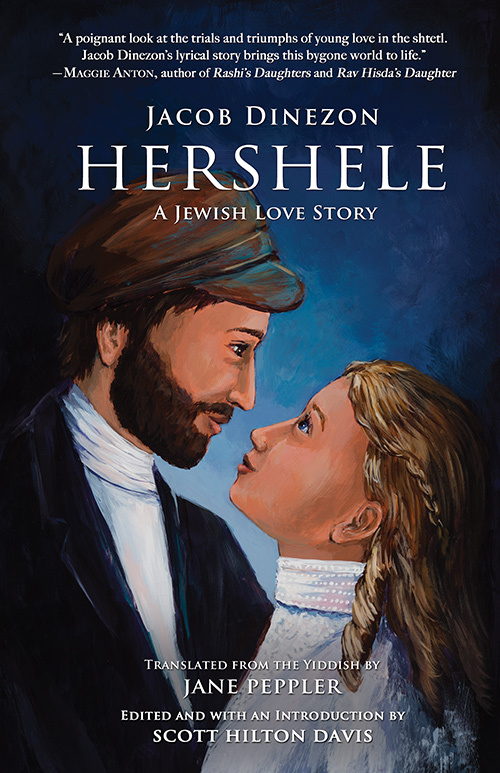 When Hershele, a poor but brilliant yeshiva student, is invited for a weekly charity meal by a rich widow, he comes face-to-face with Mirele, the widow’s pretty, bright, and strong-willed daughter. As the two innocently come to know each other, they fall in love. Are they bashert—soul mates destined to be together? Or will rigid class differences, shtetl politics, and a ruthless marriage broker tear them apart? This poignant love story, written in 1891, provides a vivid and insightful exploration of our great-grandparents’ lives in 19th century Eastern Europe: how they lived, how they loved, and how they tried to remain faithful to their Jewish way of life in the face of modern ideas and a changing world. Published by Jewish Storyteller Press. ISBN 978-0-9798156-7-6. 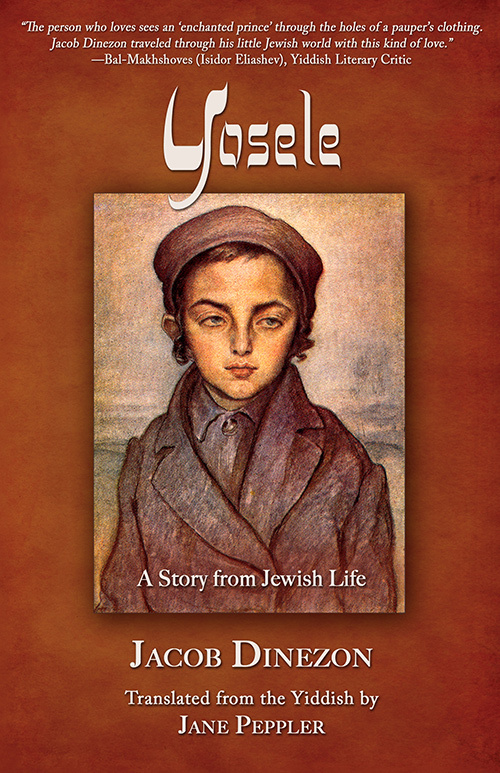 Yosele, Jacob Dinezon’s short novel published in 1899, exposed in vivid detail the outmoded and cruel teaching methods prevelant in the traditional cheders (Jewish elementary schools) of the late 1800s. Writing in Yiddish to reach the broadest Jewish audience, Dinezon described with all the pathos of Charles Dickens, the sad, poverty-stricken life of a bright and gentle schoolboy whose violent treatment at the hands of his teacher, parents, and society is shocking and painfully heartrending. The outrage that resulted from the story’s initial publication produced an urgent call for reform and set the stage for the beginning of a secular school movement that transformed Jewish elementary education. This first-time English translation by Jane Peppler presents a rare and vivid picture of Jewish life in Eastern Europe at the turn of the twentieth century. An excellent resource for classes in Jewish Studies, Yiddish literature, and Eastern European History. Published by Jewish Storyteller Press. ISBN 978-0-9798156-3-8. Jacob Dinezon (1851-1919) was one of the most successful Yiddish writers of the late 1800s. Friend and mentor to almost every major Jewish literary figure of his day, including Sholem Abramovitsh (Mendele Moykher Sforim), I. L. Peretz, Sholem Aleichem, S. An-ski, and Abraham Goldfaden, Dinezon played a central role in the development of Yiddish as a modern literary language. A successful novelist in his own right, Jacob Dinezon, like Charles Dickens, championed the poor, the downtrodden, and the oppressed, especially children. He used his pen to expose the hypocrisy and injustice in shtetl society, and his stories reveal a deep love and commitment to uplifting and enlightening the common Jewish people. Now, for the first time in English, Yiddish translator Tina Lunson places Jacob Dinezon’s stories beside the works of his contemporaries. If, as scholars suggest, Sholem Abramovitsh, I. L. Peretz, and Sholem Aleichem, are the grandfather, father, and grandson of modern Yiddish literature, then surely Jacob Dinezon is the beloved uncle, writing stories filled with Jewish humor, compassion, and love. Published by Jewish Storyteller Press. ISBN 978-0-9798156-1-4. Dinezon wrote poignant stories about Eastern European shtetl life and focused on the emotional conflicts affecting young people as the modern ideas of the Jewish Enlightenment challenged traditional religious practices and social norms. Frequently, the plight of his characters brought tears to the eyes of his devoted readers. In this Yiddish biography written in 1956 and translated into English for the first time by Yiddishist Miri Koral, the renowned literary historian Shmuel Rozshanski makes the case for including Jacob Dinezon in the “family” of classic Yiddish writers. Based on his extensive research and review of Dinezon’s major works, Rozshanski concludes that Jacob Dinezon deserves to be recognized as a major figure in the development of Yiddish as a literary language. 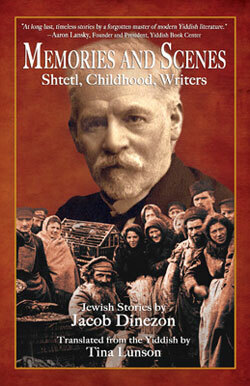 If, as scholars suggest, Sholem Abramovitsh is the grandfather, I. L. Peretz the father, and Sholem Aleichem the grandson of modern Yiddish literature, then Jacob Dinezon, Rozshanski insists, should be considered the “mother” for his gentle, kindhearted, and emotional approach to storytelling and to his readers. 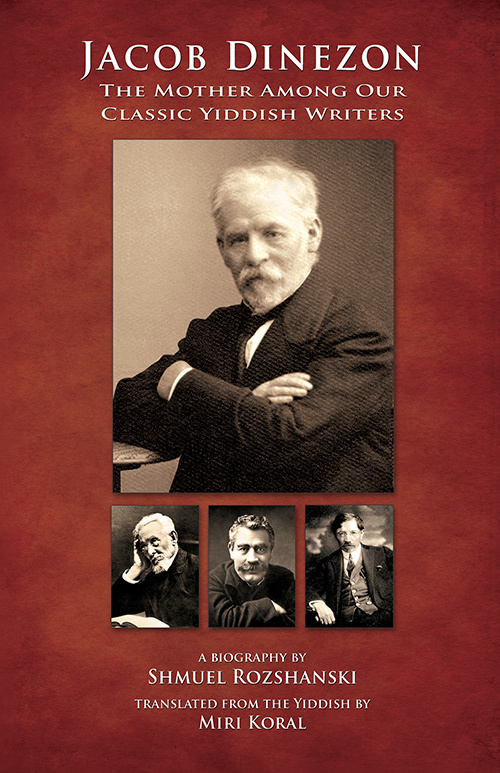 An important research book for scholars of Yiddish literature, history, and culture. Published by Jewish Storyteller Press. ISBN 978-0-9798156-8-3.